Rian Johnson has revealed to Entertainment Weekly that Kylo Ren, surprisingly enough for someone who, y’know, did the deed, is struggling to cope with losing his father, Han Solo. 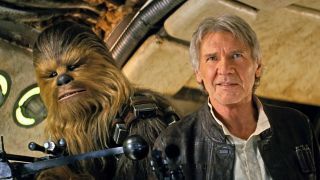 So, after Han’s death, Kylo Ren is acting like a wantaway teenager and Chewie’s got a stiff upper lip. The more things change, the more they stay the same, right? Want more Star Wars: The Last Jedi coverage? There’s the Star Wars 8 info drop explained right here, and Mark Hamill on why Luke abandons the Jedi in Star Wars 8.